In the wake of his manzai partner's death, Jitsudo (Ryu Morioka) travels in the mental space of the loss of a friend and true artistic partner. His manager (a very fun Haru Kuroki) drives him to the home of the comedy veteran Kurosawa (Hirofumi Arai) who was not only the man who brought Jitsudo and Unno (Tomoya Maeno) together to form Emi-Abi, but is the older brother of the girl who was also in the car with Unno the night he died. Think of it as sort of an Inside Llewyn Davis where an equal amount of time was spent on the deceased partner through flashback. Instantly Emi-abi both as a manzai duo and as a film will surprise you, it opens with one of Jitsudo and Unno's bits and it's actually funny. Admittedly my exposure to manzai is minimal, barely anything outside of archival footage of the Two Beats and Downtown, but Emi-abi's bit is odd and cinematic. The movie could very well have been their set in its entirety able to switch between comic and the strange in a way evocative of Breton, or at the very least Alfred Jarry. Basically, if Fish Story needed an actually decent song since that was the center of the film, Emi-Abi needs an actually good manzai duo since they are the center of the film. It succeeds. Keeping with the subject of manzai, most of the interactions in the film are between two people. Rarely do scenes contain more than one person, Watanabe choosing instead to focus on one-on-one interactions between characters. If one wanted to, a bokke and tsukkomi could be decided with each pairing or each moment. Even within groups these distinctions can be made, hierarchies change from conversation to conversation. This is the more universal way that manzai and what Jitsudo and Unno is related to life off the stage. At a roundtable grief session, manager Natsumi gets to play bokke to both Jitsudo and Kurosawa by literally hitting them with a giant fan. When Jitsudo is asked to pick up the pieces of his career, he finds it a challenge. Kurosawa, who also quit comedy after personal tragedy, is bitterly understanding. Comedian is a professions shown to be extremely defining of anyone who chooses to pursue. At deciding moments characters are asked to make someone laugh in order to get through a tough situation and prove their worth. It's the world giving these characters the opportunities to overcome the absurdity of life. 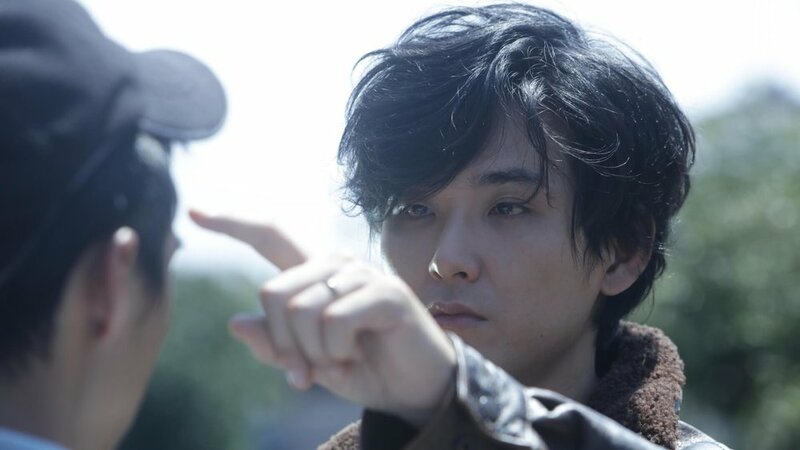 This is more accessible aspect to the film, if classic absurdism was about the failure, then Watanabe's film is pleasingly about the possibility to succeed in overcoming the existential dread. Deeply human moments, melancholy situations that border on the fatalistic, are usually saved by some sort of occurrence not seeming possible at first due to the film's naturalistic tone for its majority. Unbroken wide shots lull you into thinking the movie is grounded only to have some sort of happening break this, acting as the punchline to a scene. What is so special about Watanabe's film is that it makes life, with all the death, memory, and regret, feel fun and worth living. Emi-Abi plays Sunday, July 24 at Japan Cuts 2016.